Taken at Kresna Gorge, Bulgaria, on July 22nd 2015. Egg. Taken in the Vercors NP, France, on July 23rd 2018. 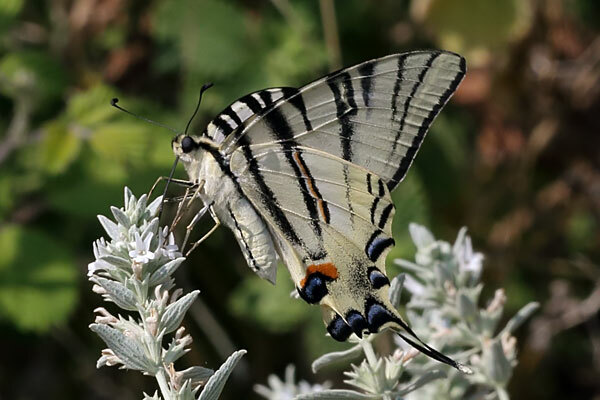 This butterfly has unmistakable black 'tiger stripes' on its wings, and long tails on its hindwings. The sexes are similar. Widespread and locally common throughout central and southern Europe, but not present in Iberia, Sardinia or Cyprus. It is protected by law in several European countries. Its habitats are field margins, parks and gardens, scrub, orchards and scattered light woodland up to 1500m. There are two generations per year, May/June and July/September. The larva is the over-wintering stage. 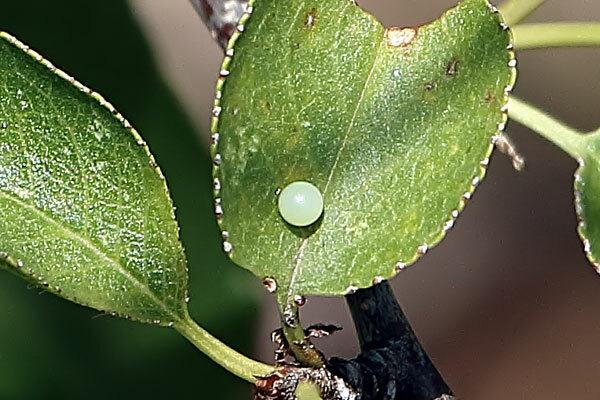 Larvae feed on various rosaceous woody plants, eg Crategus, Prunus spinosa and cultivated Prunus species in orchards. 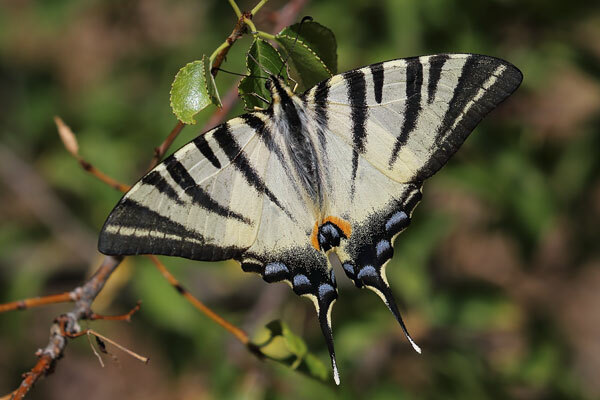 The Scarce Swallowtail is a wanderer, and is occasionally recorded in northern Europe and the British Isles.